Party Popteenies are packaged in a fun yet functional way, designed to look like party favors and gift boxes – turning everyday situations into a party. Finding out what’s inside all begins with a POP! Find out which celebration is inside – all with a burst of collectable confetti! With three different party themes to pop, including Rainbow Unicorn, Cutie Animal or Winter Wonderland, there is something for everyone. With detailed features and dazzling outfits, each doll puts their own fun spin on their party theme! Your little one won’t be able to contain their giggles when they have some unlikely target practice with this lighthearted set. Sticky the Plunger also comes with a slide-in photo target. When sticky the poo hits a wall or other flat surface, it splats and sticks. And if Sticky Poo gets dirty, just wash it with water and it returns to its original sticky surface! Matador is a construction set with wooden blocks that can be connected via pins. The idea was generated over 100 years ago. 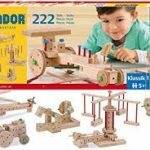 The Matador 222-piece wooden construction kit encourages the development of children’s imagination and help them bring their ideas to life in a unique way. 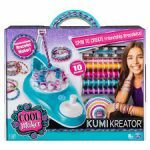 The Cool Maker KumiKreator is a breakthrough way to braid beautiful friendship bracelets before your eyes! Drawing inspiration from the art of Japanese Kumi bracelets (Kumihimo in Japanese means “gathered threads”), the KumiKreator makes it easy to create stylish and intricate Kumi friendship bracelets. Kick your meatballs onto the mountain! You and your Yeti are a team…a mean, lean kickin’ team! 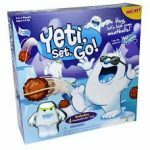 It’s up to you to aim Yeti and then bop him on the head to make him start kickin’ meatballs, trying to get them onto the mountain ledges! 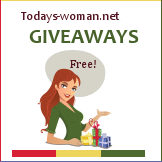 The first to get all four on wins! 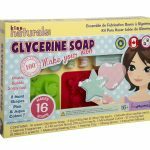 Cupcake Surprise Series 3 Minis – Great Stocking Stuffer! To go along with your upgraded Series 3 Cupcake Surprise, you can sweeten your collection with new styles of Mini Cupcake Surprise dolls! Like the regular sized doll, the minis transform from cupcake to a true beauty. 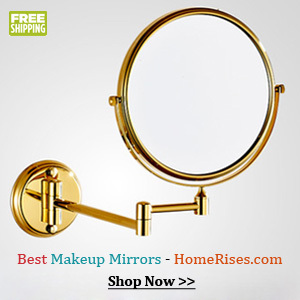 They are also available in many new styles and 6 different delicious scents and come with their own hairbrush. The scents are strawberry, vanilla, grape, chocolate, lemon, and peanut butter. Collect them all! They are perfect companions to the regular sized Cupcake Surprise dolls. Suitable for ages 3 and up. MSRP: $3.99 each.